When SHTF, whether due to a wildfire, flood, or perhaps a chemical spill or other man made disaster in your immediate area, you and your family will be forced to leave your home with very little advanced notice. If you don’t already have an emergency bug out plan in place that includes a bug out bag packed and ready to go, you and your family could find yourself stranded without basic supplies. For those that live in an urban area, bugging out could be even more dire due to congested traffic and the sheer numbers of people trying to flee from danger. You need to leave your home as quickly as possible if you want to have a chance at getting out of the area ahead of other desperate people trying to leave. Trust me, there won’t be time to run around the house pulling together supplies you think you may need. Studies have shown that even smart people don’t think clearly when in the midst of an emergency situation. Beginning preppers who don’t have anything prepared, may be wondering should you get the 840-2 Urban Survival Bug Out Bag? 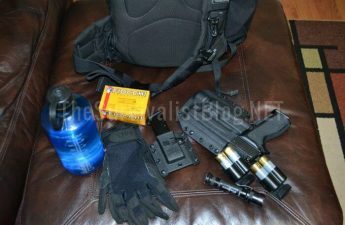 Prepping and survival experts will agree a lot of premade bug out kits are lacking in vital areas. This is unfortunately because prepping is an industry, and some companies are in the game just to make money. Even the higher priced pre made bug out kits are often stuffed with cheap supplies that are poor quality. As a beginning prepper, it can be difficult to know how to choose the right bug out bag. And the last thing you need is to discover the supplies you are depending upon for the safety of your family aren’t reliable. 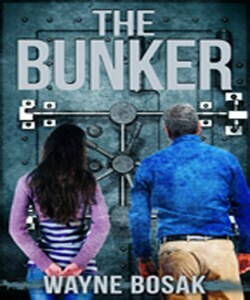 The solution is a bug out bag packed and ready to go in advance of an emergency. But how do you know if a premade bug out bag, like the Emergency Zone 840-2, is one you can depend on when it really matters? 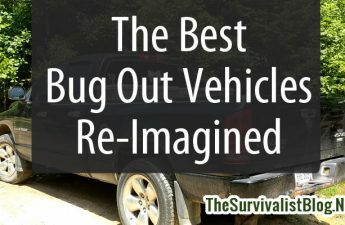 When buying a bug out bag, especially a premade bug out bag, you have to consider the quality of the supplies and the durability of the actual bug out bag itself. Inspect the stitching of the bag, the quality of the zippers and other fasteners, as well as the lining of the bag. A bug out bag is designed to carry the supplies you and your family might need for 24 to 72 hours, possibly a bit longer. You won’t be carrying it with you on a daily basis but for those couple of days that you need it, you want to make sure it’s going to hold up. One of the biggest things to consider when buying any bug out bag is the capacity or how much the bag can carry and the features it has for organizing your gear and supplies. During a bug out, you may have to access many of your supplies while on the go or during short rest periods. You need a bag with lots of compartments to help organize similar supplies together so you can get to them quickly when you need them. Exterior pockets that are easy to open and close are a must for critical supplies, such as first aid, and for frequently accessed supplies, like a compass, water bottle, flashlight, or map. Another factor to consider when buying a bug out bag is comfort. A bug out bag that is too heavy or that doesn’t have padded straps will quickly start to cut into your back and shoulders. An uncomfortable bug out bag can make a stressful situation even worse for you and your family. When considering bug out bags, look for padded straps and breathable fabric. The size of the bag is also important. A bag that is too big or too small can be more of a pain than an asset. When you’re in the midst of a survival or bug out situation, especially from an urban area, lots of other people around you will be desperate to find supplies. 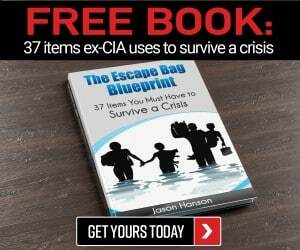 You need a bug out bag that is discreet and won’t announce to people around you that you are loaded up with food, water, and other critical supplies they need for themselves. The last thing you need is to be a target for desperate or less than honorable people around you. Look for a bag that is plain in color and doesn’t look too “tactical”. You want a bag that will blend in and basically look like you grabbed a school or work bag on the way out the door. A bag that is at least water resistant if not waterproof will keep your supplies protected from inclement weather during your bug out trip. When it comes to secure protection for your supplies, the Emergency Zone 840-2 Urban Survival Bug Out Bag makes the cut. The bag is a charcoal gray or light black and it’s plain, with no labels announcing it’s an emergency bug out bag. It’s not waterproof, but the supplies all come packed in plastic pouches and the interior of the pockets are lined with a plastic material that works as an additional barrier to keep supplies dry. If you take the supplies out the pouches, I would recommend purchasing a backpack rain cover for added protection. It’s a medium capacity bag with 10 different compartments and pockets to help you organize your supplies. There are several exterior pockets of different sizes for easy access to critical first aid supplies or frequently accessed supplies. Users report that once you organize the included supplies into the different compartments, there is still plenty of room left in the bag for additional items you may need. The dimensions of the bag are 16” x 12” x 8” and when packed with the included supplies, the weight is only about 15 pounds. The straps are padded and it does have a breathable mesh panel which means it is comfortable enough to carry for a couple of days while you are on the move. Another thing about the Emergency Zone 840-2 bag is that it is designed for 2 people, so you actually get 2 backpacks. The packs can be carried separately or connected and carried together if need be. As far as quality and durability, though it’s not top of the line quality, this pack is still a decent buy for the money. The supplies that are included are of sufficient quality and are designed to be FEMA compliant. At this price point, it’s one of the better premade bug out bags. It should hold up fine for a bug out trip that lasts a few days. Users have reported that the straps, although they are padded, do not seem to be as sturdy as other bags, so consider reinforcing them before adding any additional weight to the bag. • Food supplies are ready to eat, no water, heating, or rehydrating required. • Copies of important documents on flash drive or in waterproof pouch. 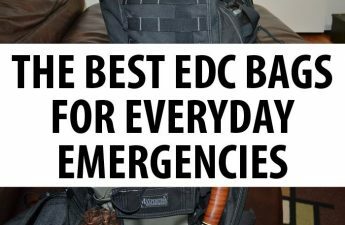 So should you get the Emergency Zone 840-2 Urban Survival Bug Out Bag? Below are just a sample of the comments from verified purchasers. • Great beginner bug out bag to build upon. • Would be nice to have additional flashlight, toilet paper, and a 2nd first aid kit. • Shoulder straps may need reinforced for extended or regular use. • Material bag is made of is decent but not superior quality, good for price. • Good basic bag for boy scouts working on preparedness merit badge. Who Should Get this Bug Out Bag? Overall, this is a decent quality bag with adequate supplies designed to be compliant with FEMA emergency preparedness recommendations. For those who don’t have a bug out bag, this definitely is a great starter bag. If you intend to carry the bag regularly or use it more as a get home bag (GHB) or go bag, you’ll want to consider reinforcing the straps or possibly swapping the backpack for one that is made of waterproof material. For larger families, consider the 4-person option and if you have pets, check out the option for the pet add on bug out bag. This would be a great bag for teenagers just getting started with prepping. It also makes a great Christmas or birthday gift for other loved ones or friends who might not be fully on board with prepping. If you consider adding some of the supplies we’ve listed in each category, reinforce the straps, and add a backpack rain cover, you can build this up to be a great bug out bag that you can rely on when the need arises. Interested? You can find the Emergency Zone 840-2 Urban Survival Bug Out Bag on Amazon. Getting organized, has been my priority this year cleaning and donating, has been exhausting but now when I open my closet, or put the towels away it’s neat and organized. I’ve been doing this prepping thing for more than 40 years and the DW and I have been doing it at our current location for 35 and I can assure you that the organizing never quite gets completed. As soon as everything is organized you find some way to make it better, or acquire another piece of gear to fill a hole in your kit, and then have to fit that into place. Most of the list and Bob, have either to much or way to little I’ve been putting in our bags, stuff that I know we will use. I think that a BOB or GO bag is best prepared for your own needs, and will no doubt be adjusted over time for the content vs. the weight. This is called EDC (Every Day Carry) and IMHO may be more important than the BOB, since in a pinch when you’re not at home or in your vehicle, it contains the items you will have with you at all times. Mine is contained in a vest that also provides concealment for my handgun; but, also contains, fire starting, shelter, tools including rescue gear as well as Pepper Gel plus cash & coins. I also generally carry one or more radios & cell phones to allow communications if I need help. You need to leave your home as quickly as possible if you want to have a chance at getting out of the area ahead of other desperate people trying to leave. This really depends on the nature of the event, where you need to go and for how long. In my rural community, there will generally be no desperate people, and evacuation will be for some short term event, like a hazmat spill upwind of my location. In this case we have numerous places we could go, including a short term stay in a local hotel / motel, or with any of numerous friends and family. Trust me, there won’t be time to run around the house pulling together supplies you think you may need. Studies have shown that even smart people don’t think clearly when in the midst of an emergency situation. Smart is a relative thing; but, prepared people who have gamed out various scenarios and perhaps done tabletop exercises will most likely have no problems, since they live in the proper mindset. We recently had a propane problem during the bitter cold caused by the jet stream and the polar vortex and quite handily solved and fix the problem that might have stumped others. We of course have the gear and skills to manage such things, and practice and discuss various scenarios regularly. Another factor to consider when buying a bug out bag is comfort. A bug out bag that is too heavy or that doesn’t have padded straps will quickly start to cut into your back and shoulders. An uncomfortable bug out bag can make a stressful situation even worse for you and your family. While this may be true for some, at our age we will not be bugging out on foot, so easy transport to and from a vehicle is the important thing, with the bag being large enough to carry everything one needs. Additional internal organization can easily be accomplished using quart or gallon zip top freezer bags. I’m constantly on the lookout for bargains, and a few years ago the Survival Spring filtration straws were on sale for $10.00 each with free shipping, so I stocked up. We also have packages of trail mix, PB crackers, hard candy, some freeze dried fruits, slim Jims and homemade jerky. We also carry cell phones from several carriers and as an active ham radio operator, we have various two way radios with extra batteries, always kept fully charged and ready to go. •	4-in-1 Hand Crank Flashlight combo with charging port We prefer rechargeable batteries and standard LED headlamps. •	Pencil Several plus sharpie markers. •	Whistle Plastic so it doesn get crushed or stick to your lips in the cold. •	Glow sticks Always available inexpensively @ Dollar Tree. •	Headlamp I have several; but, Rural king has the best bargain on these. $4.99 with batteries. With some 550 paracord the grommets on this blanket can make an easy field expedient shelter and the hoods allows a simple one person in place shelter for real emergencies. You can also find a Space brand aluminized Mylar bag that works well. The Self-Defense Keychain can be made from any key chain; but, I prefer a concealed handgun for such purposes. Waterproof backpack rain cover: I carry Frogg Toggs brand ponchos or the hooded blanket that works well for this. Additional hand warmers The tear and shake are easy to use; but, the charcoal versions are longer lasting. I carry both. Lighters, Stormproof matches, and/or fire striker All of these; but, primarily the mini BIC butane lighters, Swedish fire steel (Ferrocerium rod & striker) and a plasma lighter; plus, some tinder and fat wood. Much of this is in my EDC with the Gerber Multitool having a lot of functionality. For rope I carry several hundred feet of 550 paracord; but, no Playing cards, although that may be a good idea. Quality Knife My EDC has several of these; but, the BOB contains additional and ahand axe. 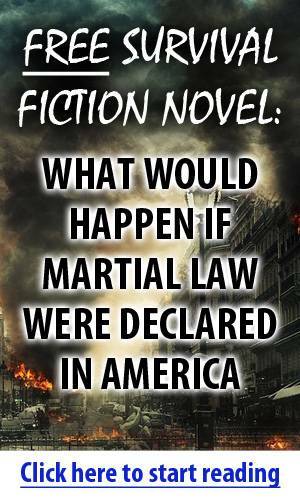 Emergency Preparedness Manual. One should already know and practice this knowledge and if a manual is needed, it will make life a lot less easy. These should all be done and practiced ahead of time. Copies of important documents on flash drive or in waterproof pouch. This is the most important and should be kept up to date. We have several copies on USB thumb drives.